Molars! Bicuspids! Teeth! 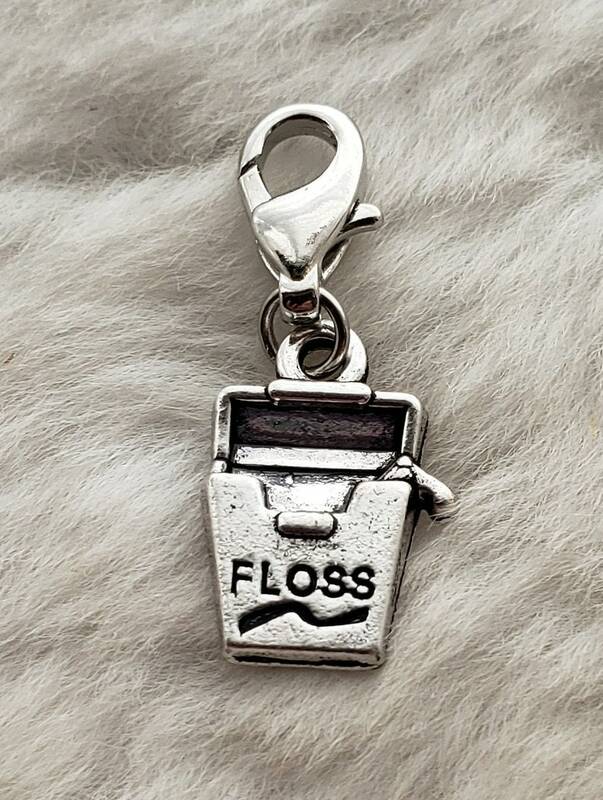 Commemorate the tooth fairy, braces or a dental career with this sweet dental floss charm. Great also for bravery and courage at the dentist! Going to a dental convention or conference and need a bulk quantity? Or how about making these your "giveaways" for your dental practice? Message us for bulk pricing! We have HUNDREDS of charms that are not listed on our site. If you're looking for something special, please message us here.